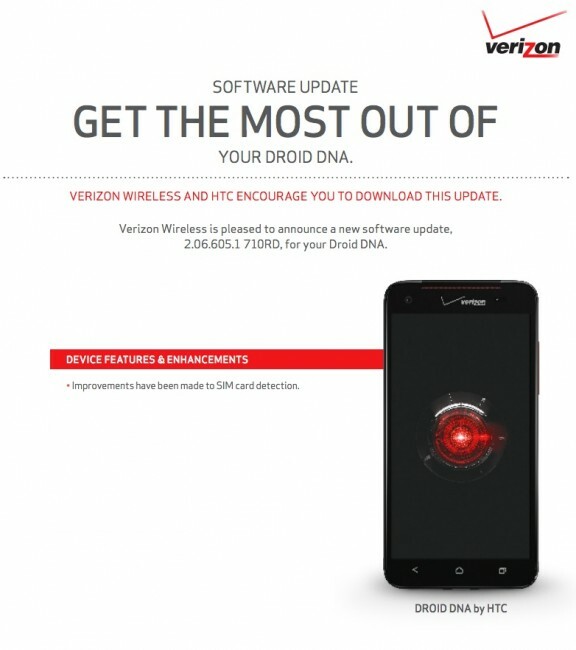 Verizon has approved another update this morning, only this time it’s for the HTC DROID DNA. The update is incredibly small and only contains improvements to make SIM card detection better. That’s it. The update is 33MB in size.